Fully Narrated Video Course! No Reading Required! Approved for ALL Texas Electricians! Including Apprentices! Approved by the Texas Department of Licensing and Labor for 4 hours of Continuing Education for all Texas Electrical License holders. Upon completion, we will submit your Continuing Education hours to the TDLR within 24 hours. Approved for ALL Texas Electricians! Including Apprentices!Complete using your Phone, Tablet, Laptop, or Desktop Computer! No Test!Complete using your Phone, Tablet, Laptop, or Desktop Computer! Approved for ALL Texas Electricians! Including Apprentices!Educational and entertaining Continuing Education courses for the absolute lowest price. This course will provide the 4 hours of continuing education required to renew your Texas electrical license. 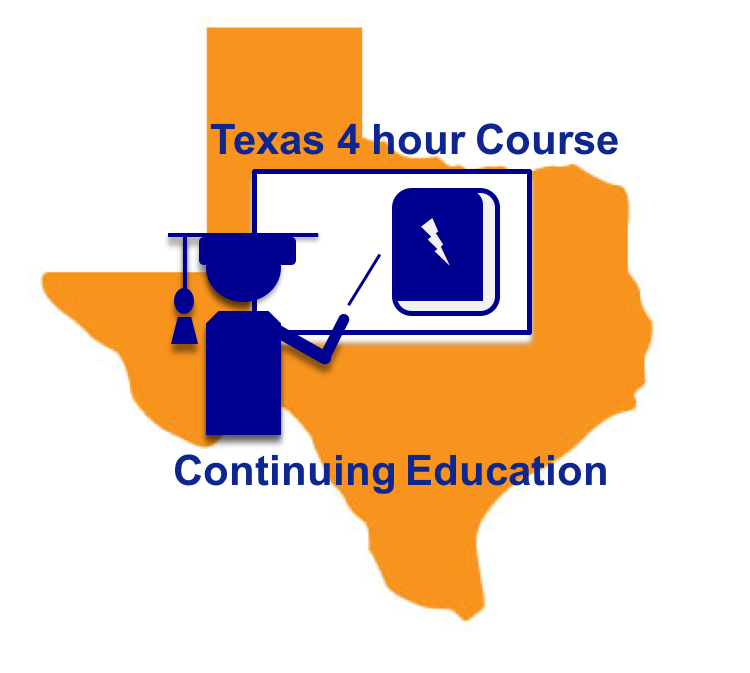 This Texas Electrical Continuing Education Course is approved by the Texas Department of Licensing and Regulation to provide the 4 hours of continuing education required to renew your Texas electrical license. This electrical continuing education course will cover all required topics required by the Texas Department of Licensing and Regulation, including the National Electrical Code, Texas Laws and Rules, and Electrical Safety. Once you have completed the course we will report your Continuing Education hours to the Texas Department of Licensing and Regulations within 24 hours. Is this Texas Electrical Continuing Education Course approved by the Texas Department of Licensing and Regulation? Yes! 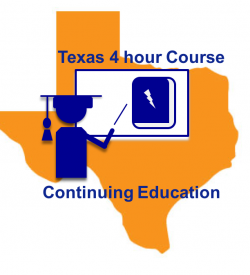 This Texas Electrical Continuing Education Course is approved by the Texas Department of Licensing and Regulation for 4 hours of continuing education required to renew your Texas electrical license. This Texas Electrical Continuing Education Course covers the National Electrical Code. It covers the Texas laws and Rules, and it also covers electrical safety as described by the NFPA 70E. You are required to complete all of these topics in order to qualify for license renewal..
No References are required! The Videos will display the references for you throughout the course! I would like to purchase a copy of the National Electrical Code. Where can I purchase one?